Jennifer Lawrence trips up at the Oscars. She was on her way to the stage for her win for Silver Linings Playbook. The Hunger Games: Mockingjay Part 1 star Jennifer Lawrence. Lawrence is back as Katniss. Liam Hemswoth and Jennifer Lawrence star in Mockingjay Part 1. Julianne Moore joins the cast as President Coin. Jennifer Lawrence and the Mockingjay Part 1 logo. Lawrence is back as Katniss. A photo of Jennifer Lawrence in Mockingjay Part 1. 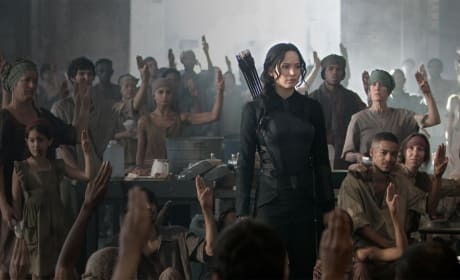 Lawrence is back as Katniss in the first part of the two-part Hunger Games saga. 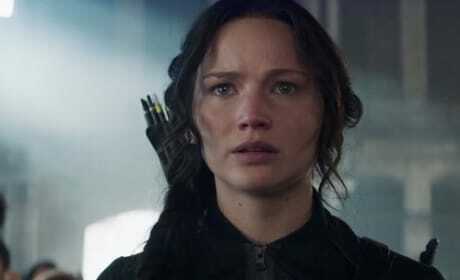 Jennifer Lawrence is Katniss in Mockingjay Part 1. 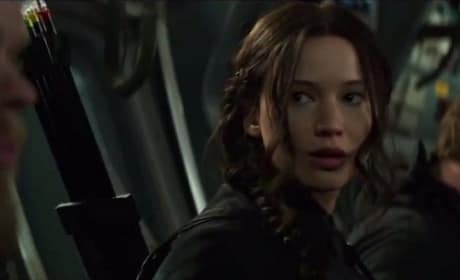 In this clip, Katniss meets the rebels. Mockingjay Part 1 star Jennifer Lawrence. 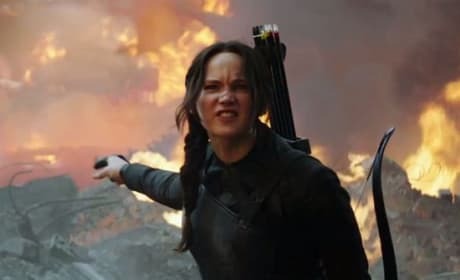 Lawrence returns as Katniss. Mockingjay Part 1 star Jennifer Lawrence. Josh Hutcherson and Liam Hemsworth also star. 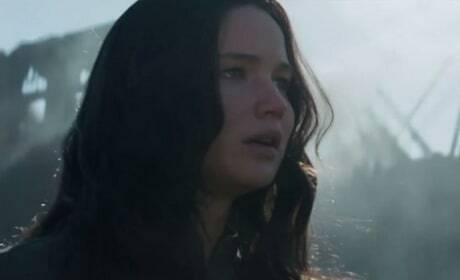 Katniss returns home in a scene from Mockingjay Part 1. 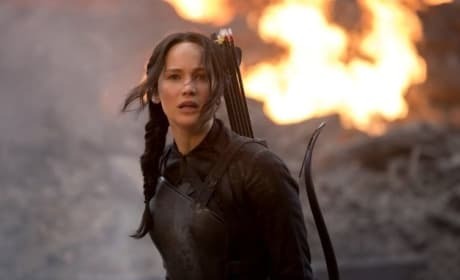 Jennifer Lawrence is back as Katniss Everdeen. 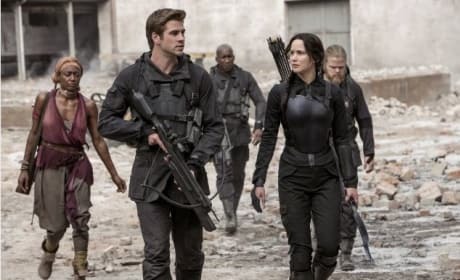 Liam Hemsworth and Jennifer Lawrence star in Mockingjay Part 1. Josh Hutcherson is back too. 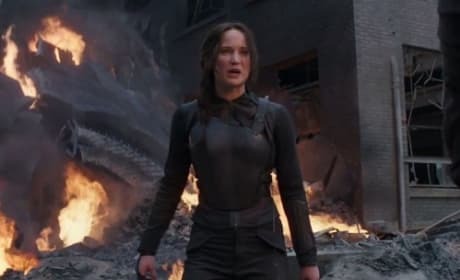 Jennifer Lawrence stars in The Hunger Games: Mockingjay Part 1. Lawrence is back as Katniss. 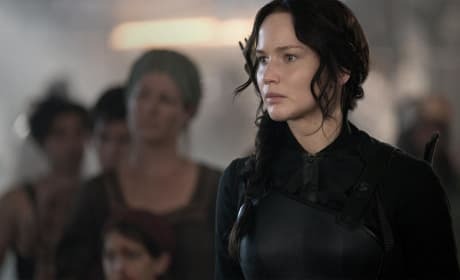 Mockingjay Part 1 stars Jennifer Lawrence as Katniss. 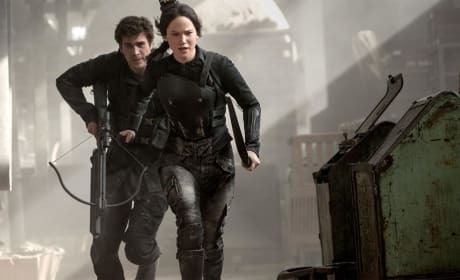 She's joined in the third The Hunger Games movie by Liam Hemsworth and Josh Hutcherson. Jennifer Lawrence is an American actress best known for her Golden Globe nominated role in Winter's Bone. She plays young Mystique in X-Men: First Class, and Katniss in The Hunger Games.